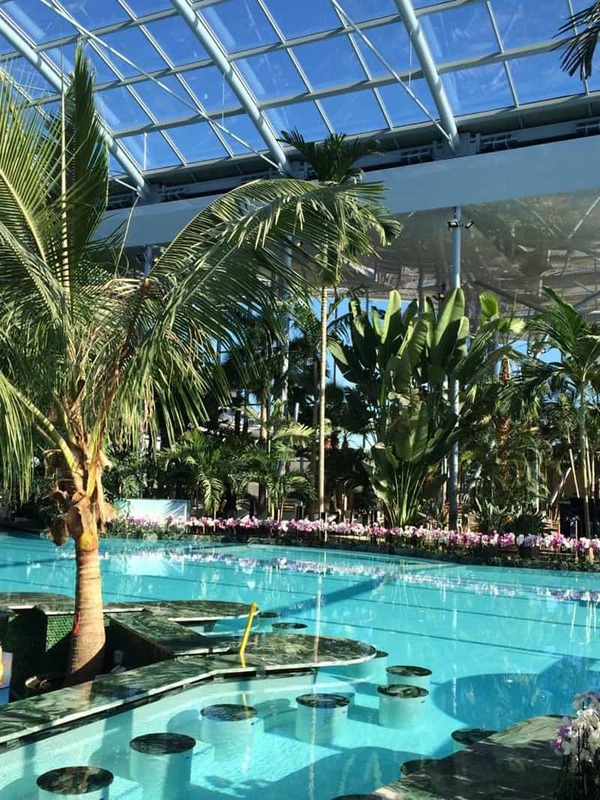 Beginning January 14th 2016, a tropical paradise, known as Therme Bucharest, Romania will be open to the public just ten minutes away from the city. 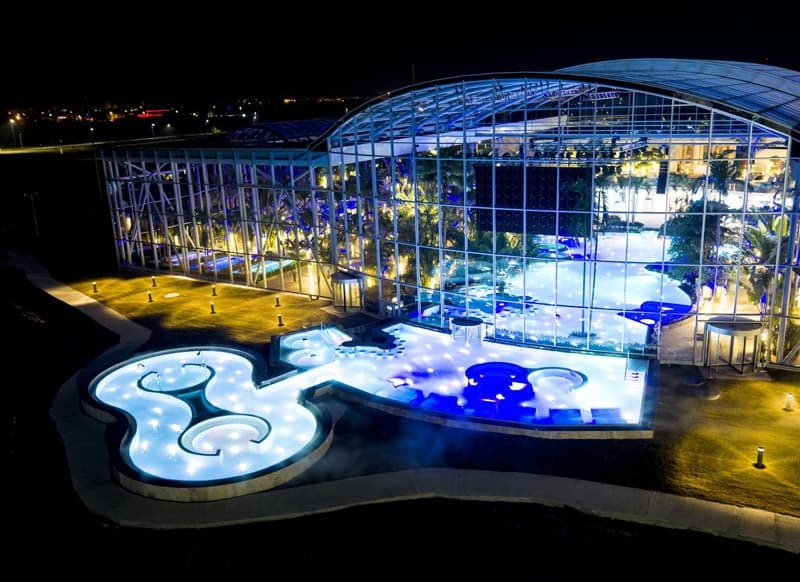 Therme Bucharest, a 30,000 sqm wellness, relaxation and entertainment center based on thermal waters will open some 20 kilometers north of Bucharest, in Balotesti, on January 14, 2016. 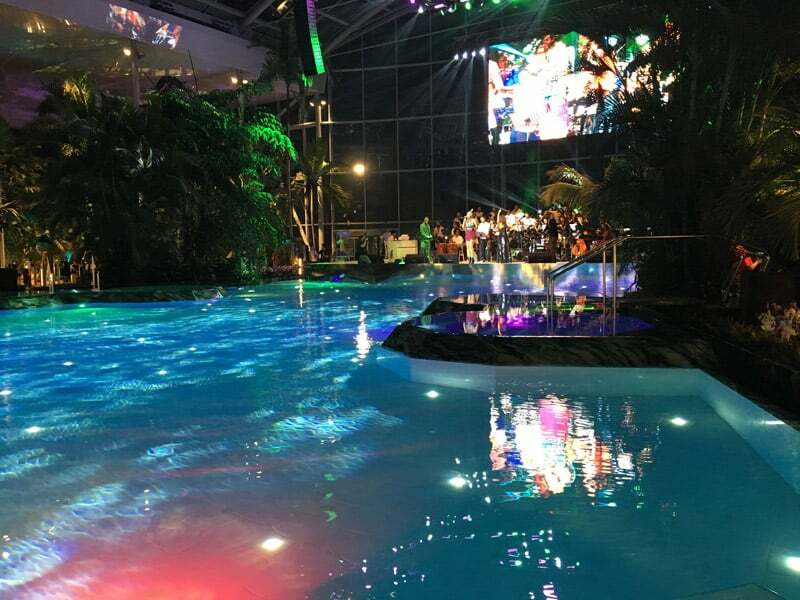 Therme’s owners, Austrian group A-Heat, say this is the biggest complex of this kind in Europe. 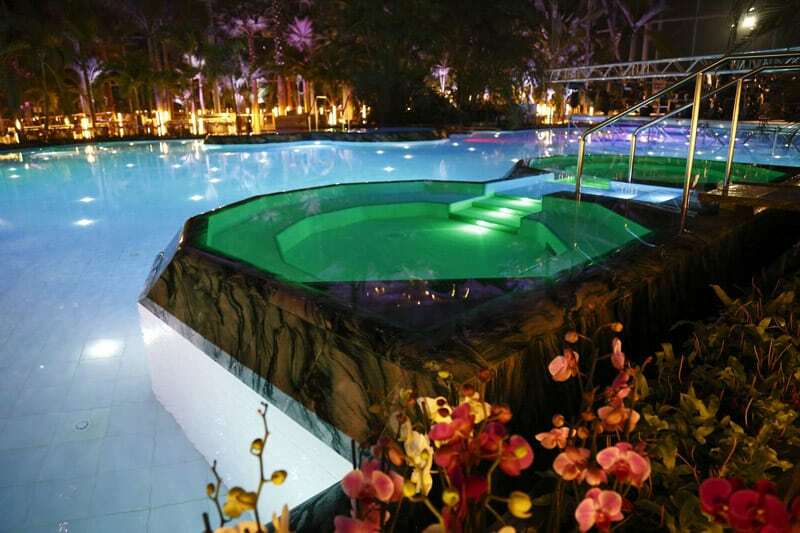 German group Wund, which owns four such thermal centers in Europe, has developed the project. 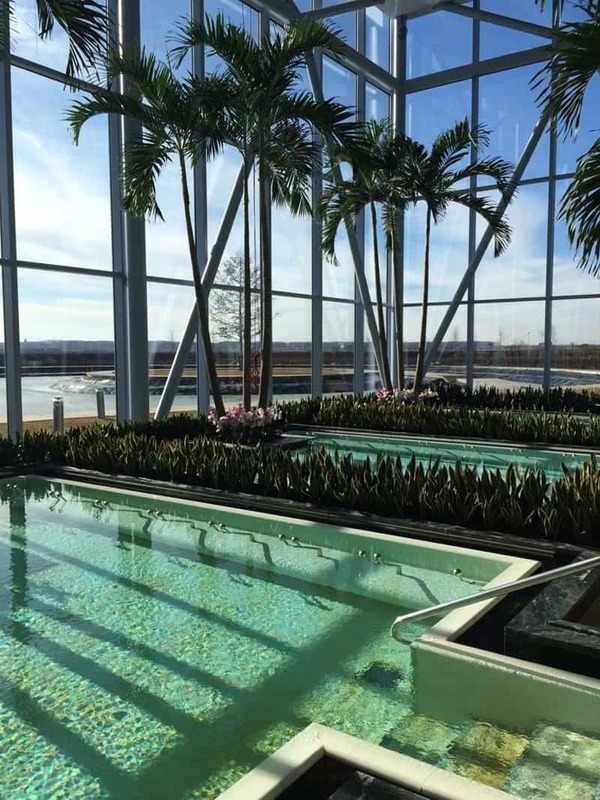 The center’s main features are the 8 heated pools, where the water will have a constant temperature of 33 degrees Celsius. 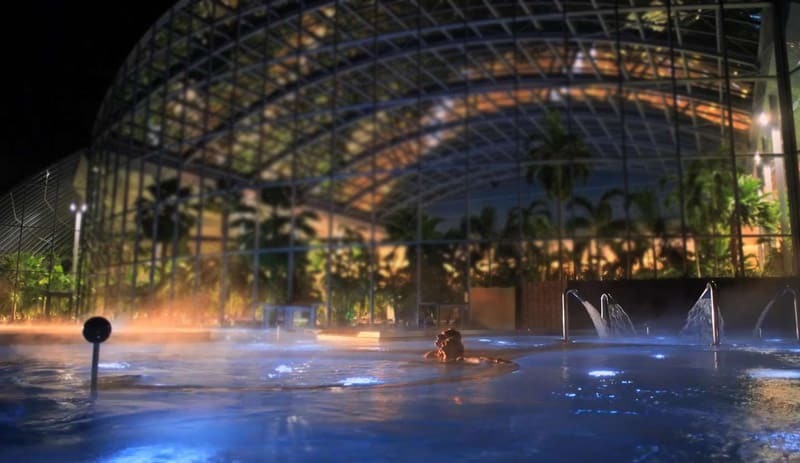 Apart from its uniqueness, innovation and investment-related figures, the biggest thermal spa centre in Romania, will be a place where visitors will be able to witness many firsts and records. 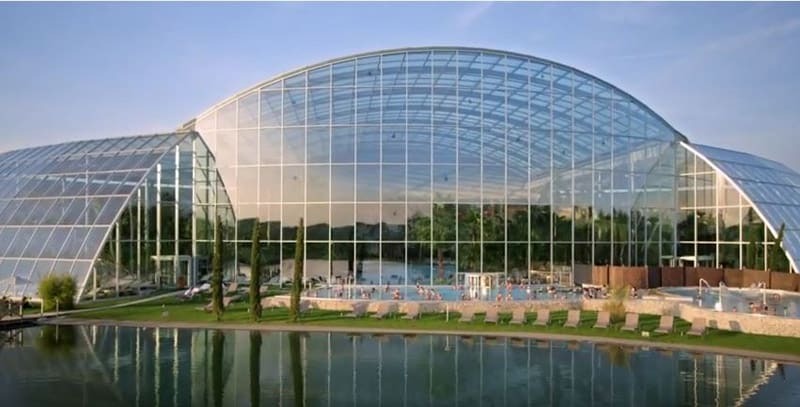 The Therme Bucharest Park is located close to Corbeanca locality, 15 minutes outside Bucharest. 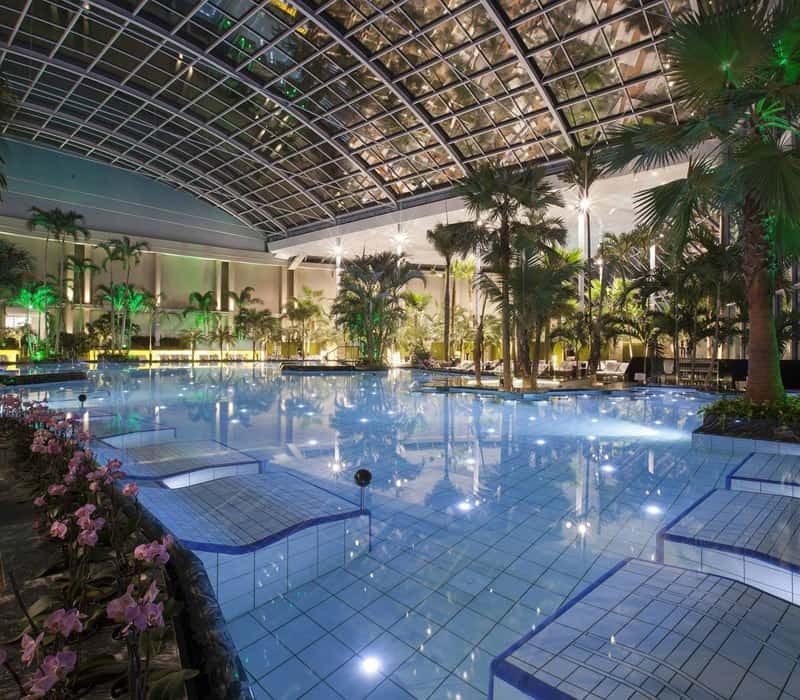 It features not only thermal water pools but also the largest indoor and outdoor garden in Romania. 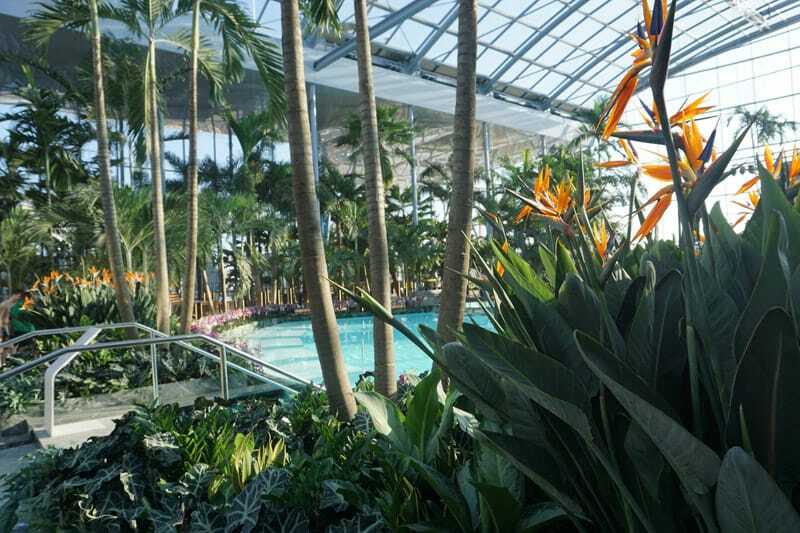 The garden consists of over 800,000 plants and hundreds of species of trees, including the biggest plantation of veritable palm trees in Europe, plus the attraction of the site – a Tree of Life that is one of the botanical rarities of the moment, thus creating a tropical vacation setting just 10 minutes from downtown Bucharest. 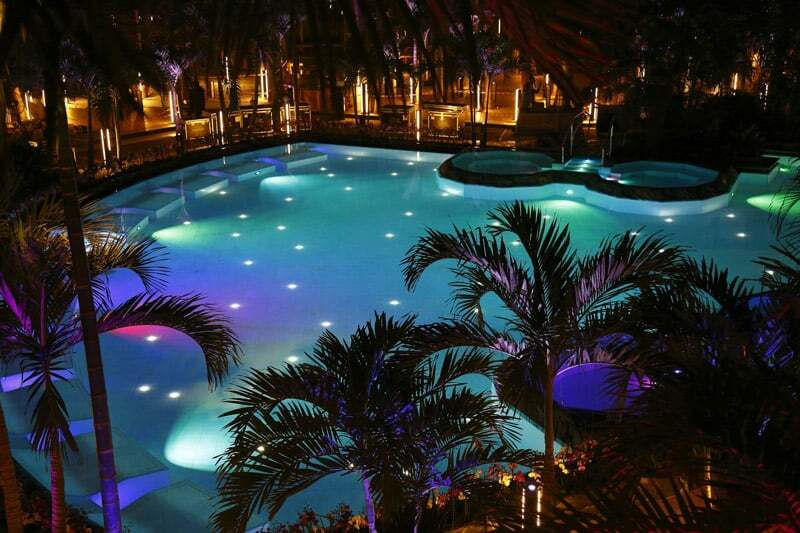 The pools are filled with thermal water that rises from a depth of 3,100 meters. 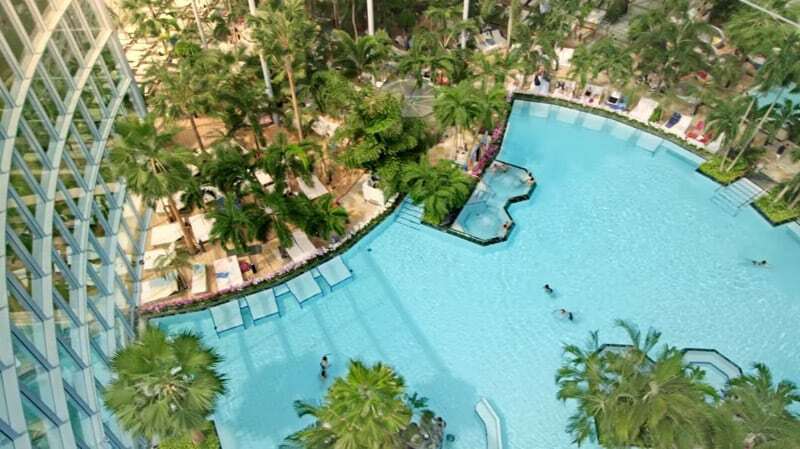 The air temperature will be between 29 and 30 degrees Celsius. 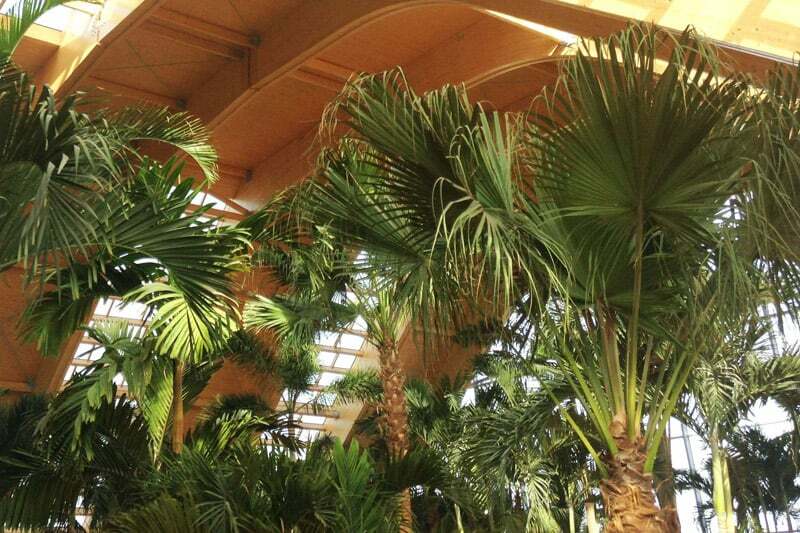 The center will be open from 9:30 to 23:30 during weekdays, and between 8:00 and 1:00 in the weekends. 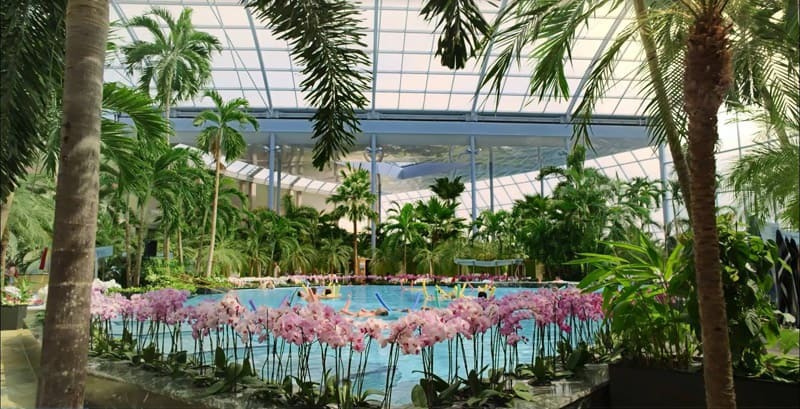 Therme Bucharest will not be just a thermal center, but will also host the largest botanical garden in Romania with some 800,000 plants. From now on, Bucharest will have another major tourist attraction and yet another excellent reason to visit this fascinating city. 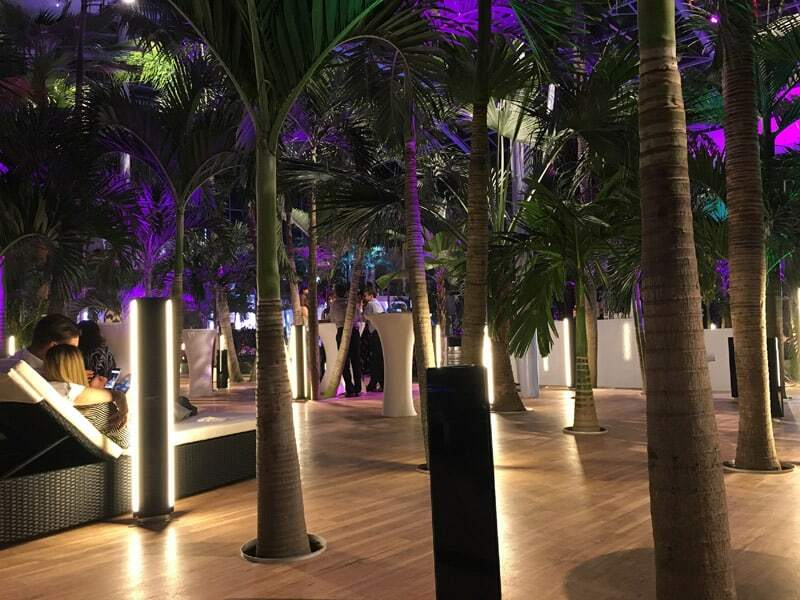 The center is divided into three major sectors, each of them with a specific theme. 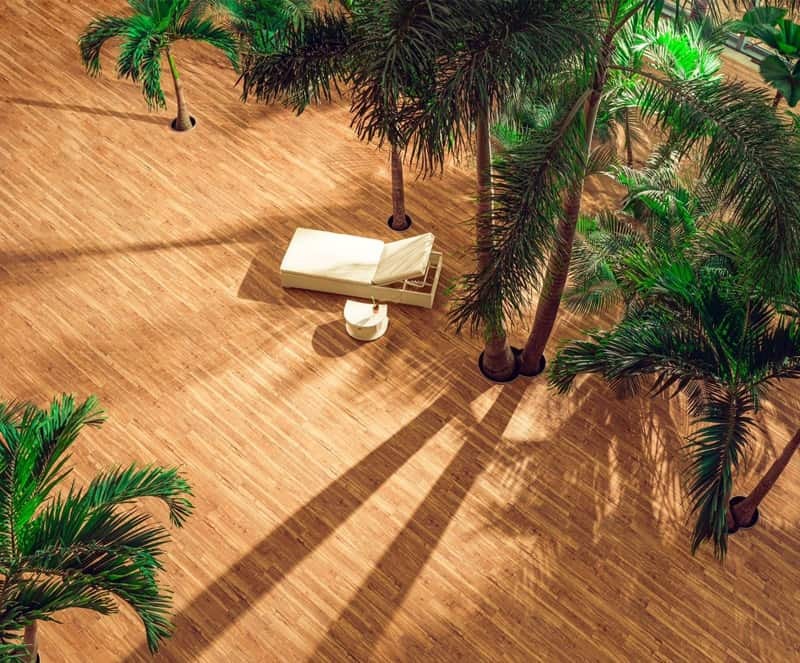 The Palm, as the name says, is an area dedicated to relaxation among 500 palm trees, the largest garden of this type in Europe. 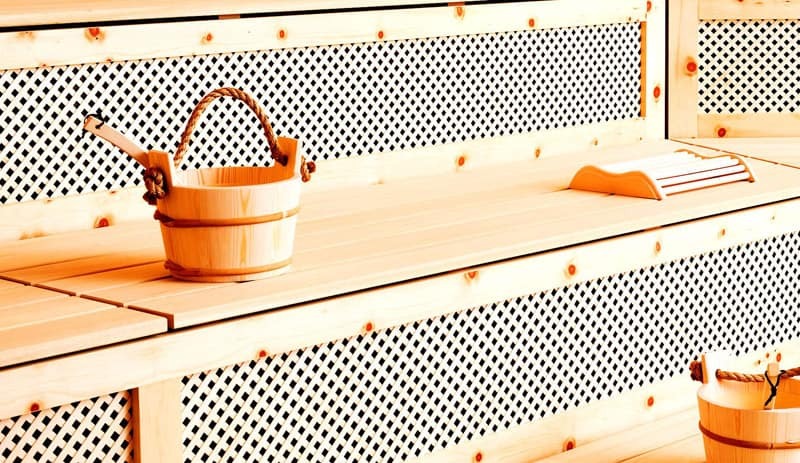 The Elysium area is designed for thermal saunas and for those who would like to enjoy a nice massage. The third sector is the center of the entertainment. 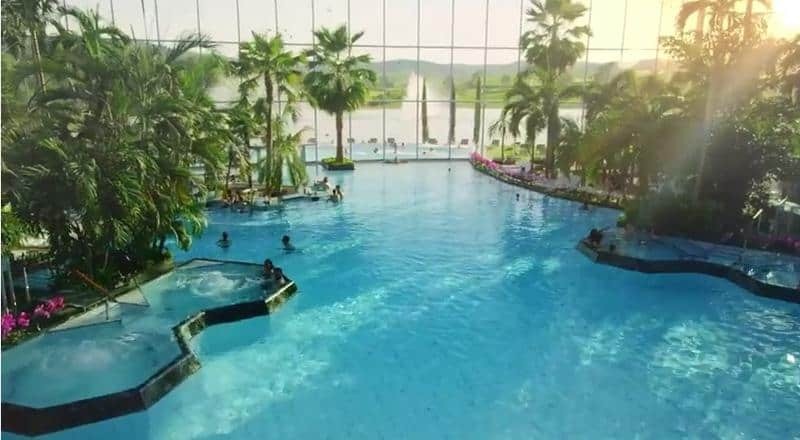 Here you can have fun in a pool with waves – the largest one in Romania – or you could ride down one of the many toboggan slides. 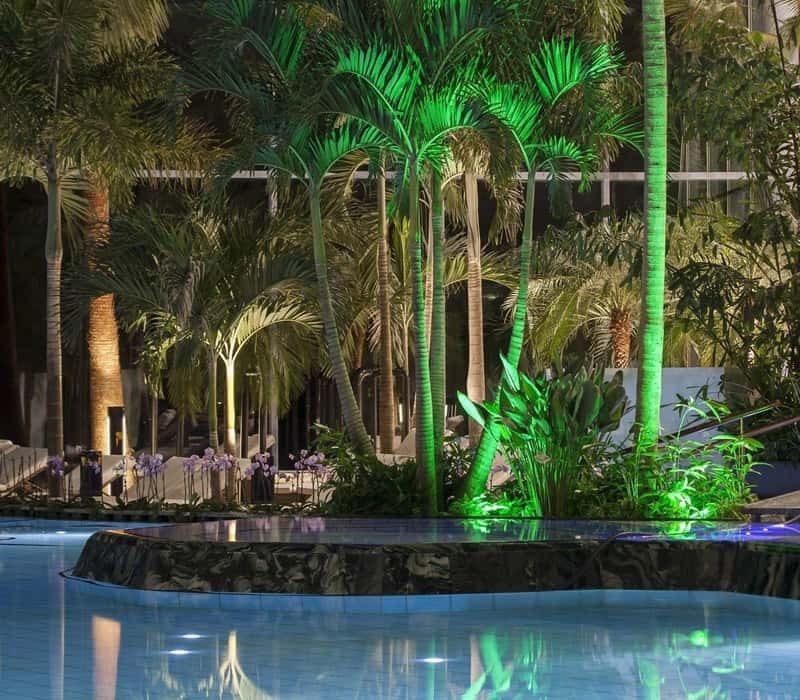 And when you’re tired enough, you could stop for a drink at the pool bar. 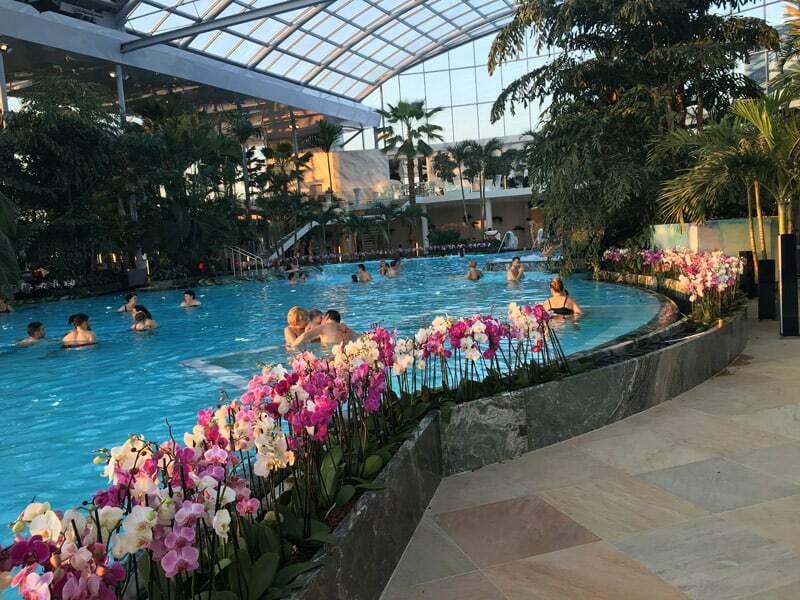 The continuous climate change, the congestion from the Black Sea resorts and the fact that Romanians work a lot, have convinced some Austrian investors of the utility of such a relaxation center in Romania. 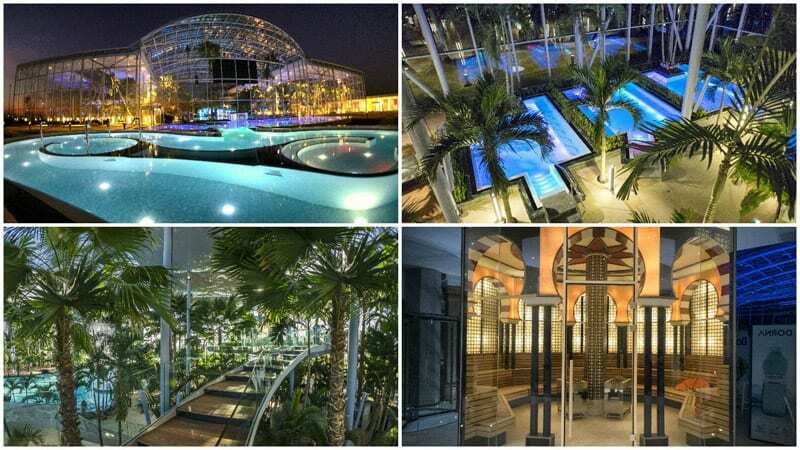 Thus, Bucharest residents will be the lucky ones to live in the second largest spa city in Europe, with Rome ranking first and being the oldest thermal capital throughout history. Investment in this project will reach about 50 million Euros, and is being made by the A-Heat Group AG from Austria. What it isn’t well known is that Bucharest is the second largest thermal city in Europe, second only to Rome. 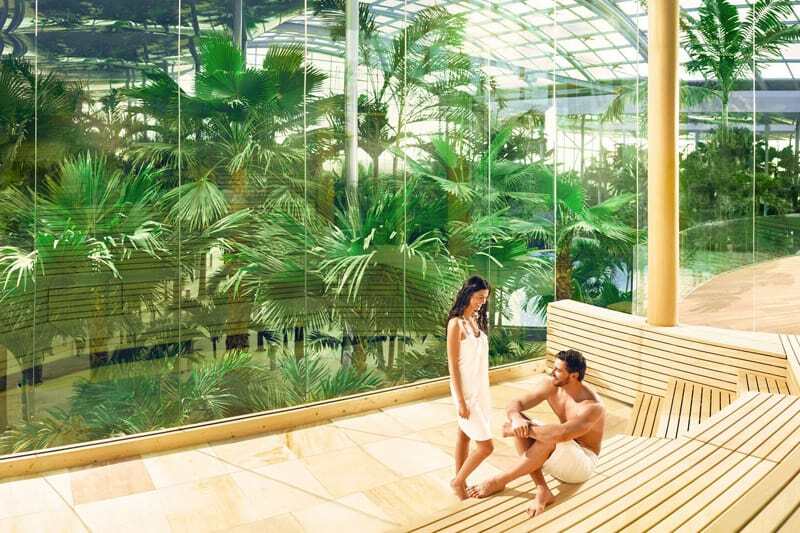 The construction of the Therme project began in 2013, with the initial investment mounting to EUR 29.64 million. 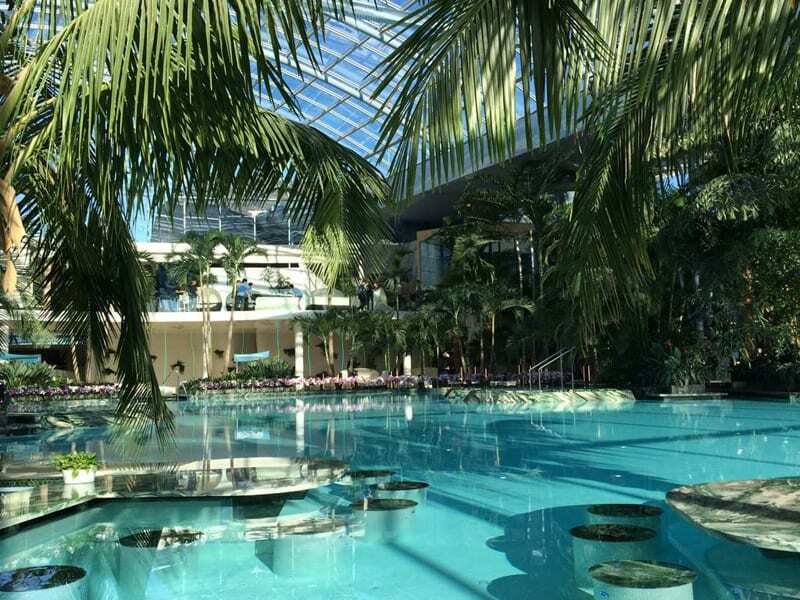 The largest thermal relaxation center in Europe will be located just 10 minutes away from Bucharest, with almost four million people form the Capital or from the neighboring areas having access to it, according to Hotnews. 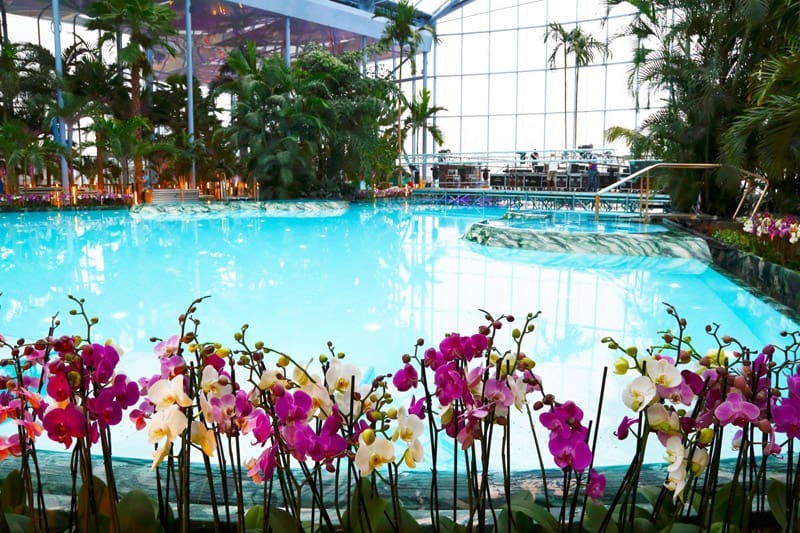 The thermal water providing a quality unique in the world, next to over 800,000 plants, many of which are rare or unique specimens, will recreate the atmosphere of a tropical vacation, all year round, not very far away from Bucharest. 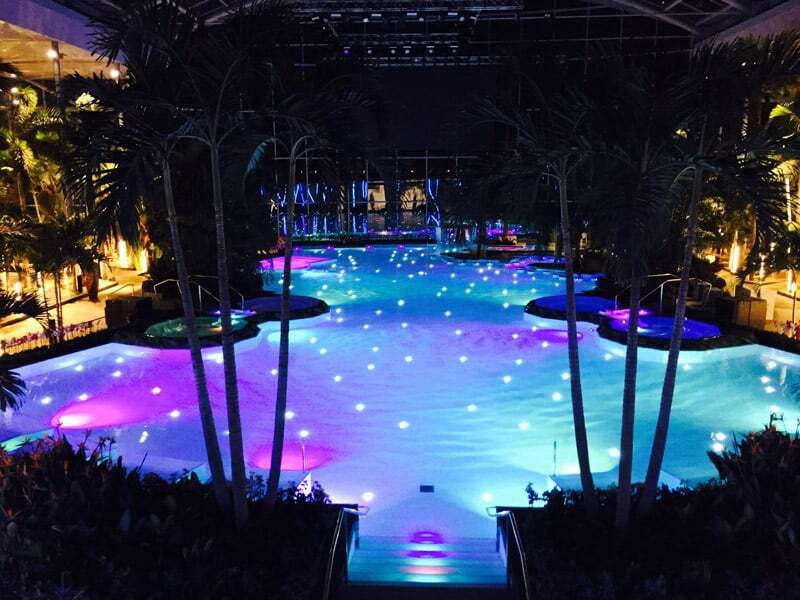 The entry fee will be comparable to the price of a movie ticket, according to the company’s representatives. 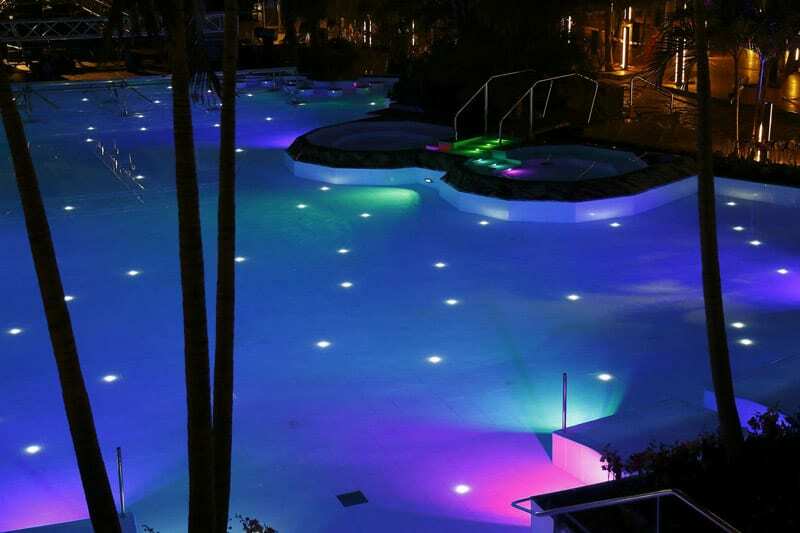 The complex Therme Bucharest will be inaugurated in few days ( 14 January 2016) and will operate all year round.